So far we've had a lot of fun with Christmas trees as part of our A Very Toddler Christmas series. 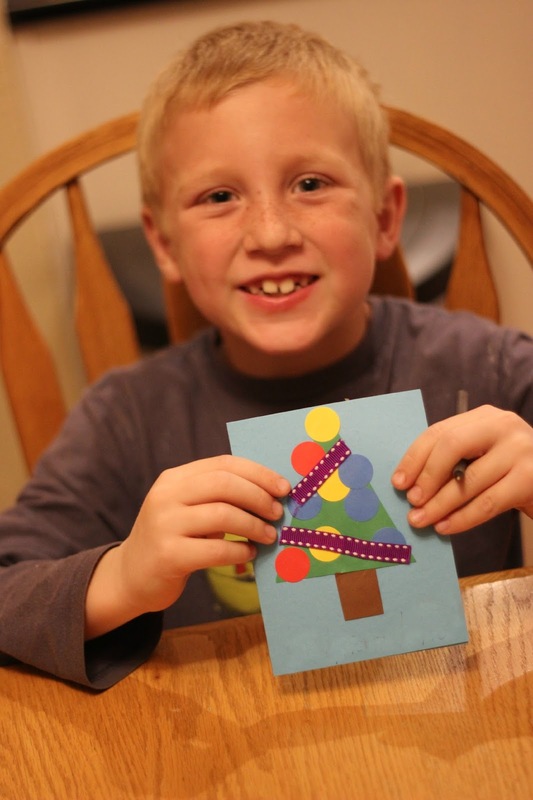 We've made a simple Christmas tree treat, played a roll a Christmas tree color game, decorated Christmas cones, and made Paper Plate Shape Christmas trees. 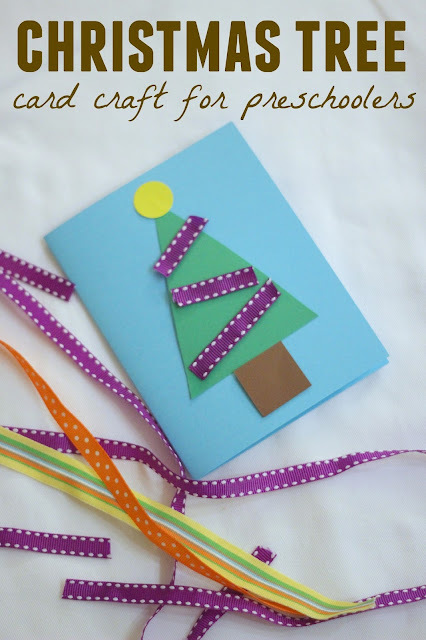 Today we are making really simple Christmas tree cards for Day 17 of our A Very Toddler Christmas series! 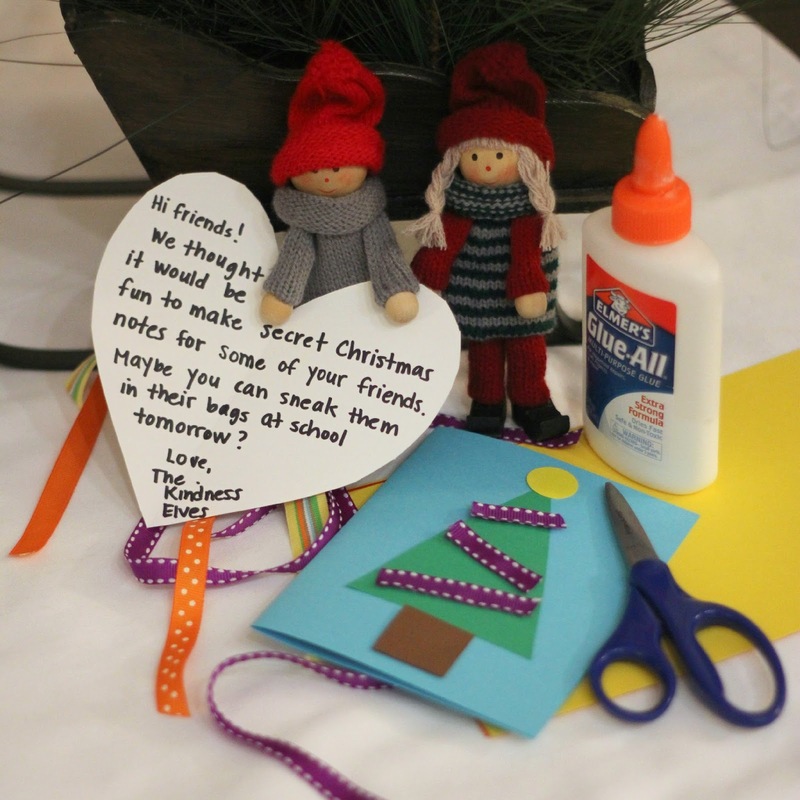 Earlier this week our Kindness Elves challenged us to make some secret notes for friends, so the other night we got to work crafting. We've been having fun making cards since then. 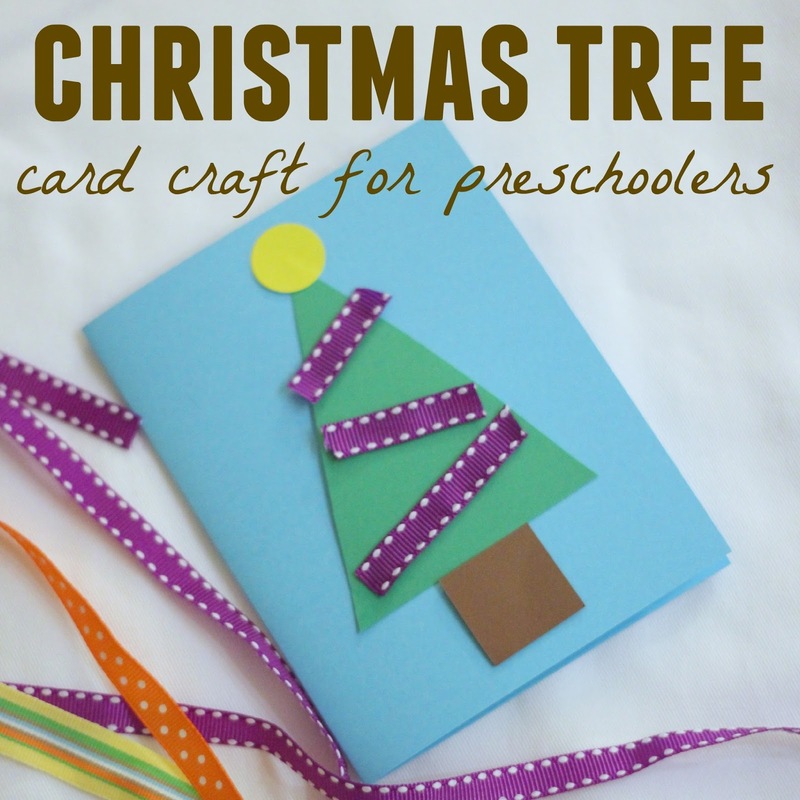 We started by cutting out green triangles from green cardstock and gluing them onto cards along with a brown trunk. Next we embellished the cards! We added ribbon, yarn, and stickers. 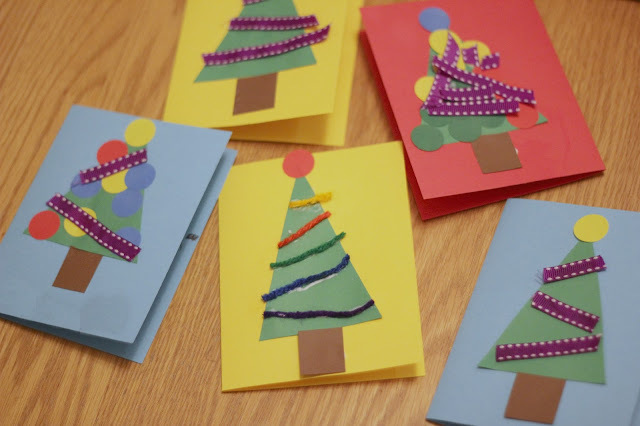 Each card looked a bit different and my big kids especially loved adorning their trees with colorful dot stickers. Once we were done decorating the trees the kids wrote notes inside to give to friends or teachers. My 3-year-old dictated his note to me and then colored a picture inside. I love finding simple ways to do acts of kindness during the holidays. We are sharing some of the kindness elf activities we've been up to over on Instagram if you ever feel like following along. You can find me at @kristinatoddlerapproved. Who would you give a secret kind note to? If you've missed any of our A Very Toddler Christmas series posts you can find them on our landing page. There are 17 now! I can't believe it is almost time for Christmas. I wish there were two more weeks so that I could feel sufficiently prepared!